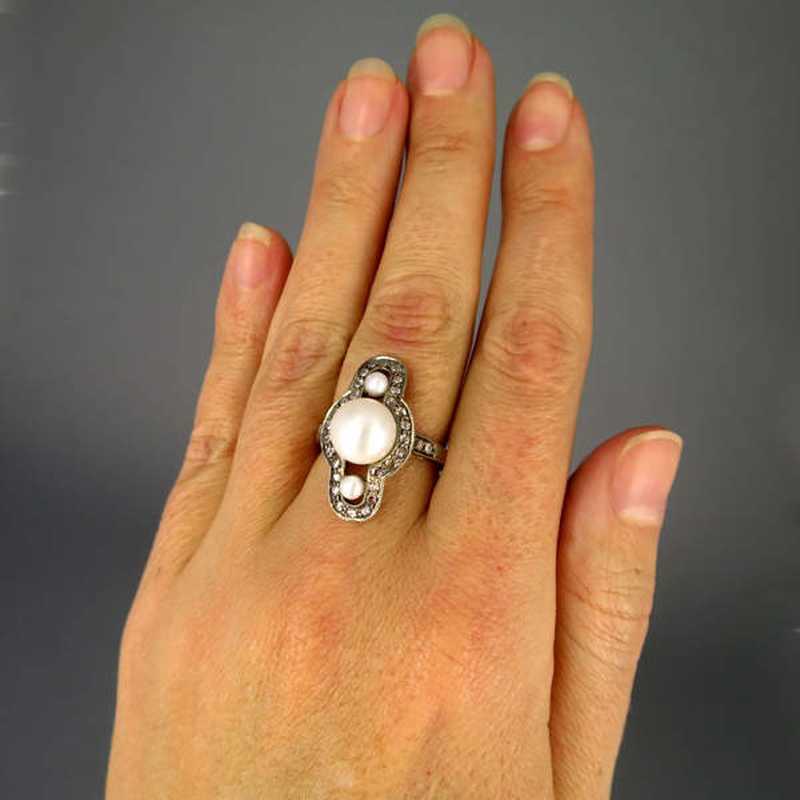 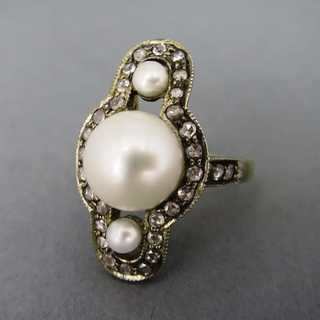 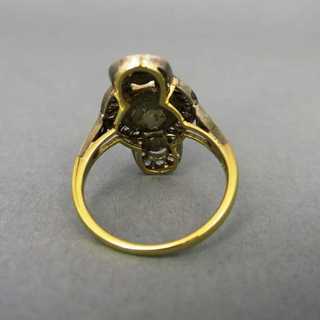 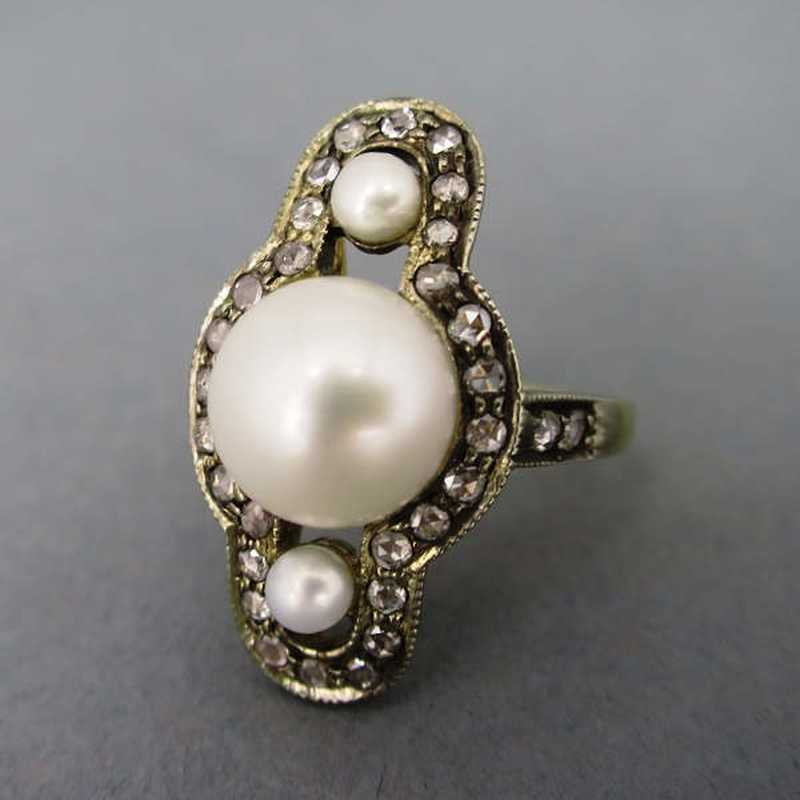 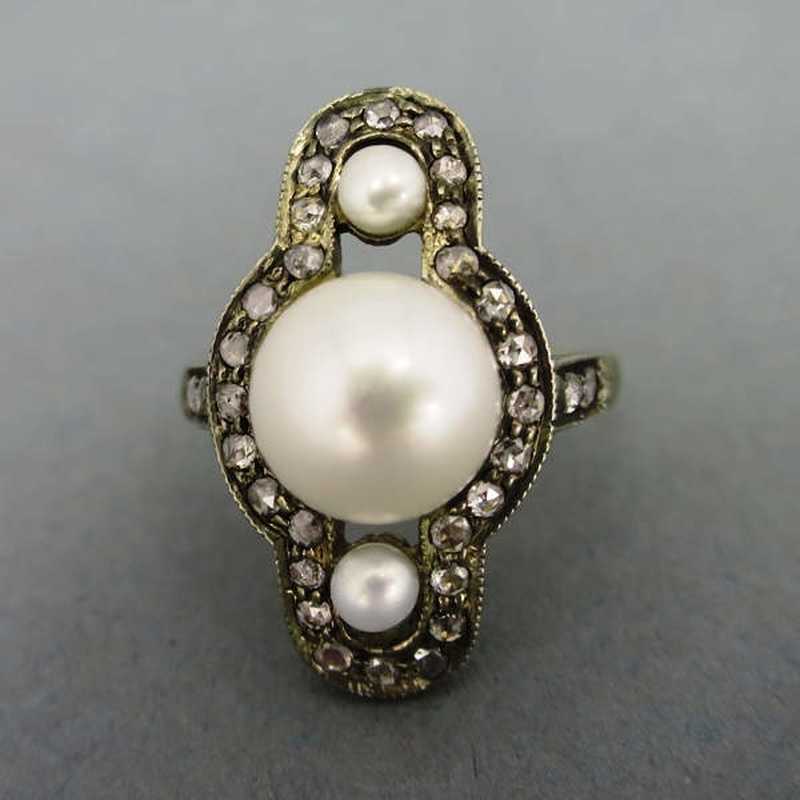 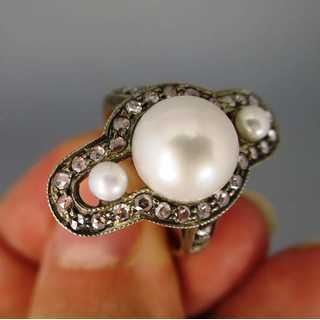 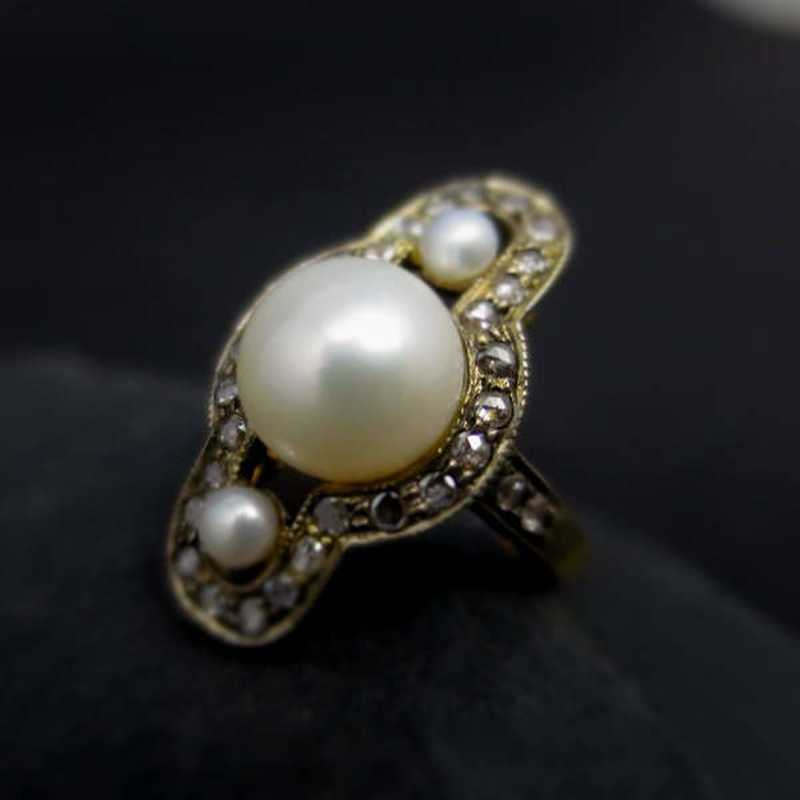 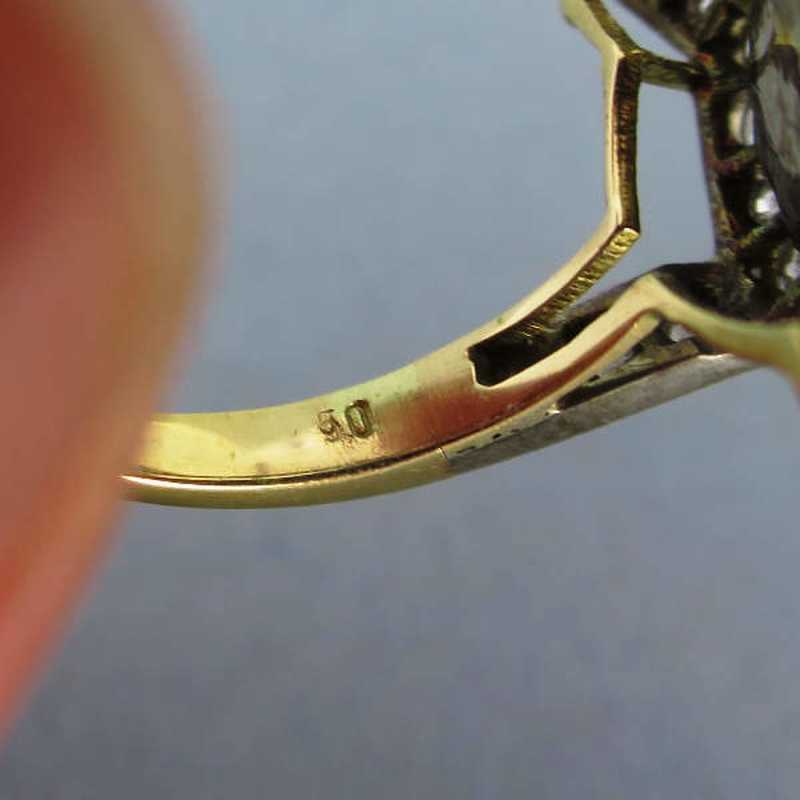 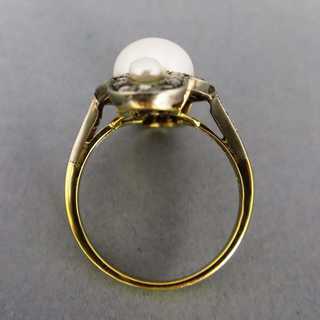 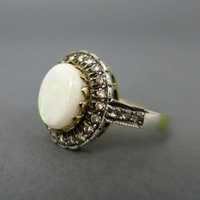 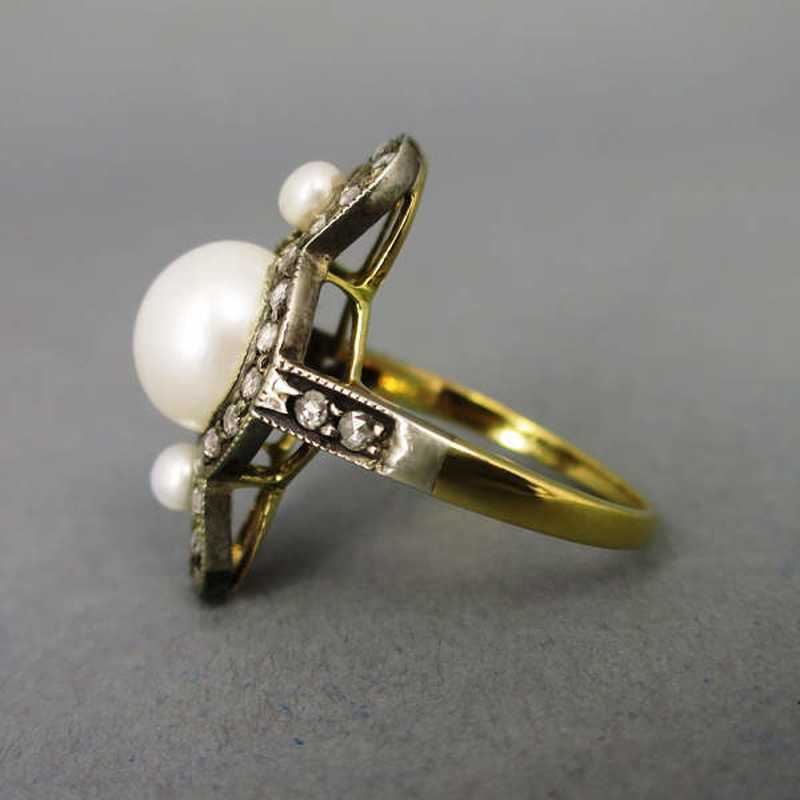 Gorgeous lady's ring from the Art Déco period! 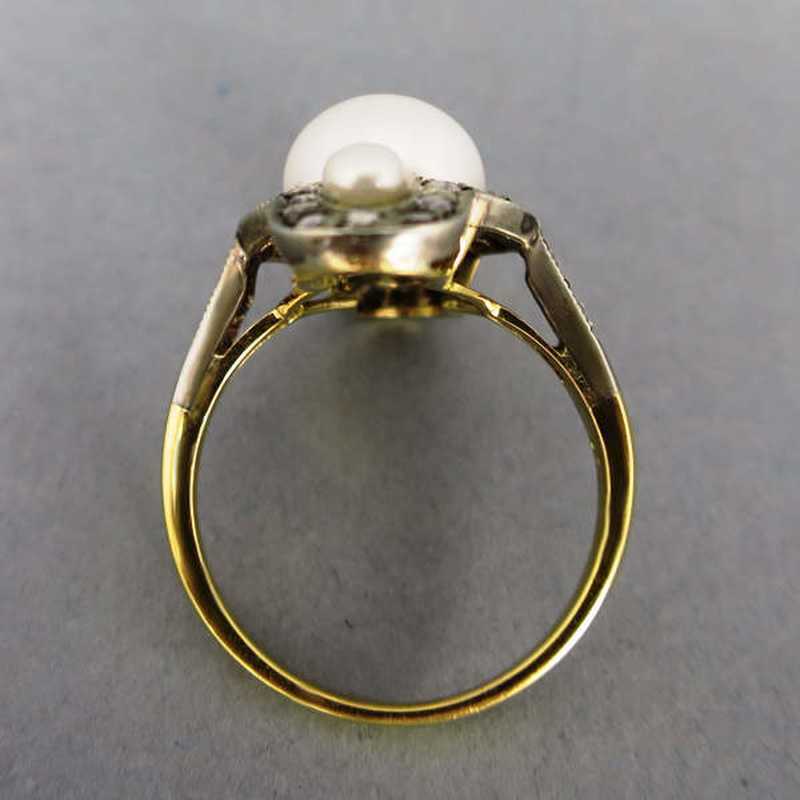 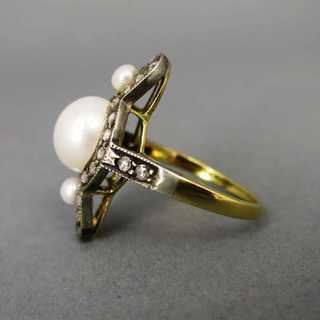 The scalopped ring head is decorated with two smaller and a one bigger pearl, mounted in a frame, which is filled with small diamonds. The shoulder of the hoop is diamond filled, too. A wonderful hand made piece of jewelry, created about the year 1920. 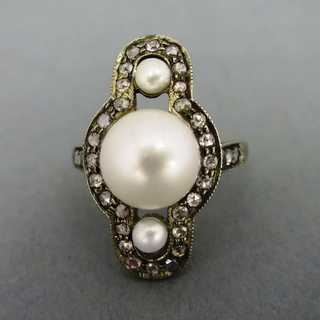 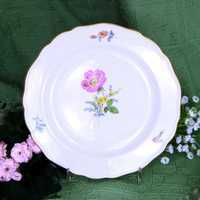 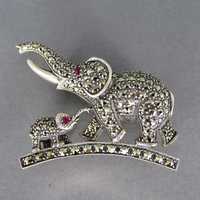 An extraordinairy piece and a great offer!